I have to confess that I really dread washing my hair, the reason being I have very thick hair and it takes a lot of time and effort to blow-dry and style it. If you feel the same, then I am sure these new products by It Factor will amaze you as it did me! Let me tell you more about the product. It Factor was developed by beauty expert, Mark Stiller who was tired of waiting and waiting for his wife to get ready when they went out so he researched and found that you CAN get your perfect hairstyle in less time with the latest in hair technology! It Factor products promise you beautiful hair that is silky, smooth and frizz free, less styling time with conditioning and detangling ingredients, reduced drying time with the VaporBoost system and the products are multi-functional with each product helping you to have healthy and gorgeous hair in less time! 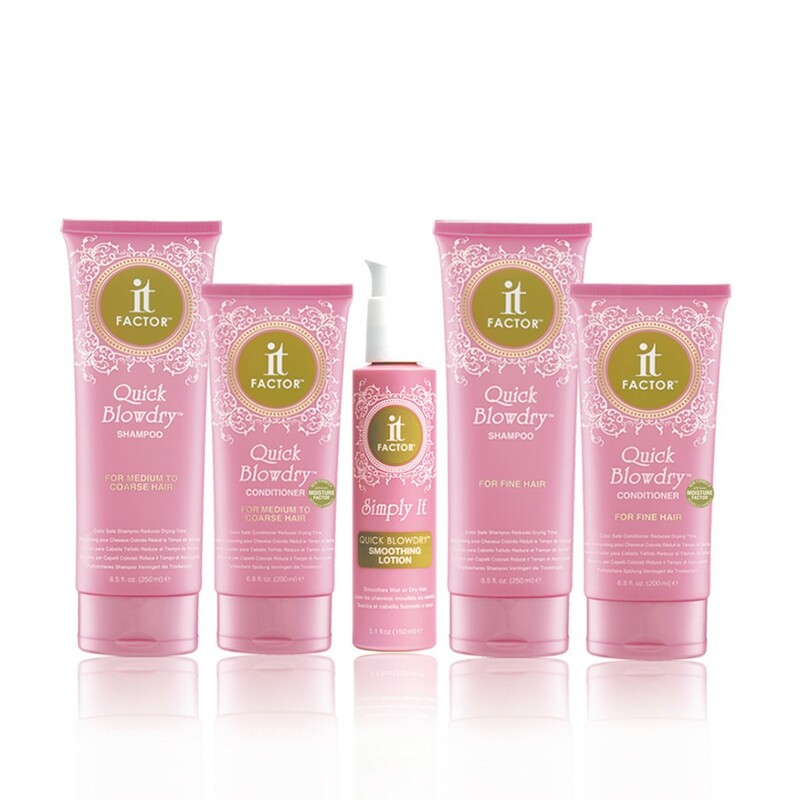 These hair products are also perfect for extensions or chemically straightened hair. All It Factor products are free from harsh alcohols. Sulphates, sodium chloride and parabens. You can get these products at selected Carlton hair salons or go for a blowout at the Carlton Hair Blowdry Bar and experience what the products feel like! I personally really like that it makes my hair feel light and smooth and they already had me sold on the fabulous packaging! No comments yet on It Factor - The Latest in Hair Technology . NOTE: Your email will be kept confidential at all times and will not be displayed on the website. Your comments will be approved first before being displayed.